Learn the core concepts of painting on location - the definitive resource for experiencing the peace and rewards of painting in the open air. Learn the core concepts of painting on location with Acrylic (En Plein Air), the definitive resource for experiencing the peace and rewards of painting in the open air. 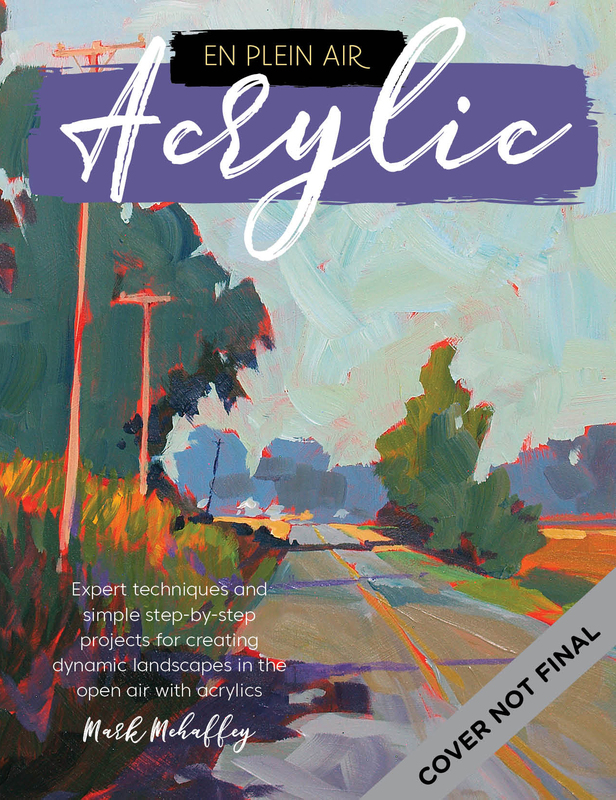 Acrylic (En Plein Air) beginning artists and fine-art lovers alike to the core concepts of painting on location. This hardworking guide features everything you'll need to get started, including expert tips on what to pack and how to maximize your time outdoors, as well as how to choose a subject when you're on-site and then interpret it for a complex and pleasing composition. Painting on location in the open air is a unique challenge, but withAcrylic (En Plein Air), you will learn to deal with the challenges of shadows and natural light and hone your skills in a fun, refreshing way. Perfect for artists looking to grow beyond the studio, this one-stop guide is an excellent resource for expanding upon the peace and joy that comes with painting. Michigan-based Mark E. Mehaffey is an artist, instructor, author, and lecturer who works in both watercolor and acrylic. He is a member of many painting organizations and has won multiple awards for his artwork, including the Silver Medal of Honor from the American Watercolor Society. Mehaffeys paintings are included in public and private collections throughout the world.